PROVIDENCE, R.I. – Family, friends, and fun! For the third consecutive year, the last Friday in October saw supporters of Nutmeg Animal Welfare gather for a good time on Federal Hill in what has become our organization’s annual fundraising affair that puts the emphasis on fun. 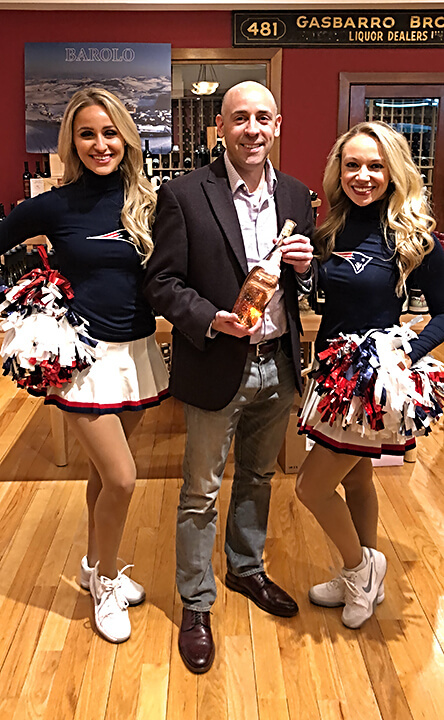 Our friends from Gasbarro’s Wines on Atwells Avenue once again hosted the October 26th Autumn Wine Tasting event, which raised approximately $2,500 for Nutmeg’s worldwide activities. For this year’s “Flavors of France” theme, attendees enjoyed a fantastic selection of wines that represented French vineyards from north to south. Six reds, three whites, and a Provençale rosé were offered to guests, many of whom went home with bottles of their own to enjoy during the upcoming holiday season. The fine folks from Pane e Vino restaurant next door once again provided catering with a delectable array of vegetarian food items, as well as valet parking services for attendees. A couple of Nutmeg supporters also left with raffle items that were generously donated to the cause. Kathy Mandel of Providence won a $50 gift card to the G Pub restaurant in Rhode Island’s capital city. A giant bottle of Barolo, courtesy of Gasbarro’s, went to Janice Allard of North Providence when her playing card was drawn from the raffle box. 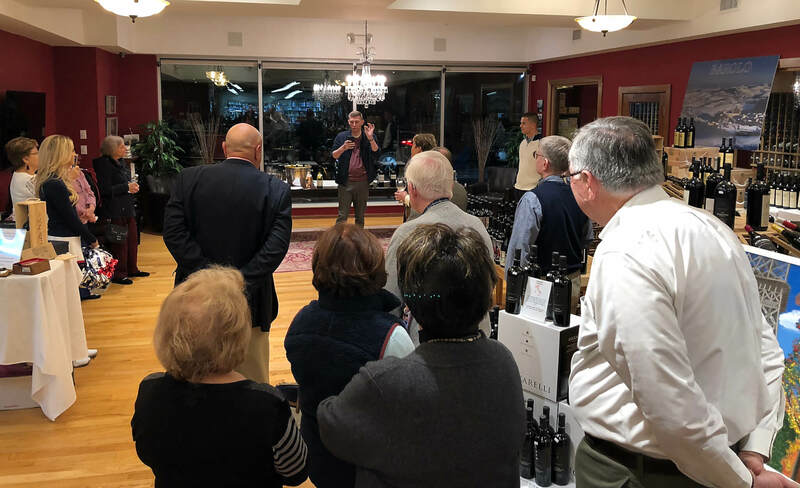 Playing cards were once again used as raffle tickets, as magician John Duke Logan returned for the second year in a row to entertain us with his illusions and a grand finale that he designed specifically for the wine tasting. Members of the Patriots Cheerleaders also joined the festivities for the first time. Alicia and Courtney mingled with guests throughout the night and helped draw the winning raffle cards at evening’s end. Nutmeg’s new branded travel bowls (to feed and water your pets on the road) were made available for sale, and a Rob Gronkowski-autographed football, provided by the New England Patriots, raised a considerable sum from both attendees and supporters who contributed from afar in our first-ever silent auction. A Nutmeg benefactor from the Houston, Texas area made the winning bid of $400. Many thanks to everyone who made Nutmeg Animal Welfare’s Third Annual Wine Tasting a success, from familiar faces to those who took part for the first time. We’re already looking forward to doing it again next October. Hope you can join us then!